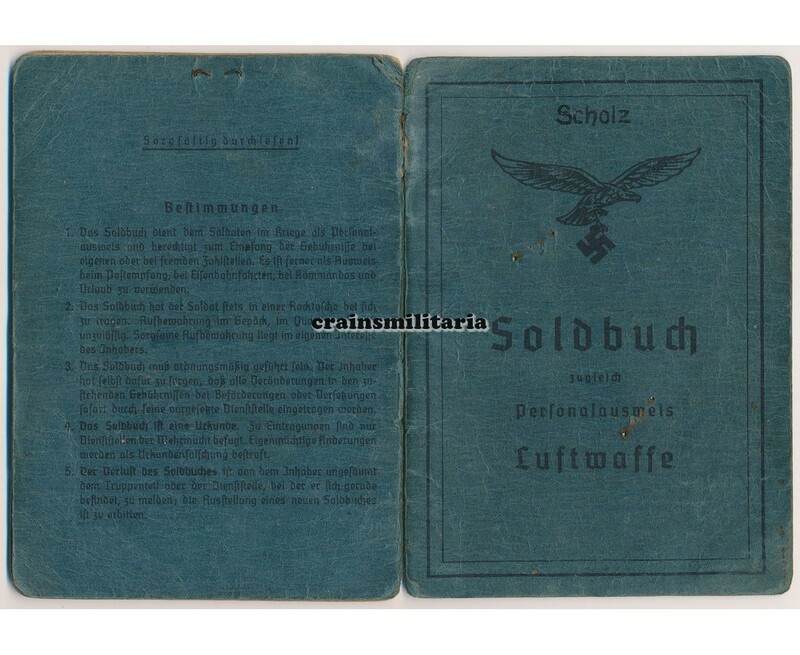 Soldbuch to Wachtmeister Julius Scholz. 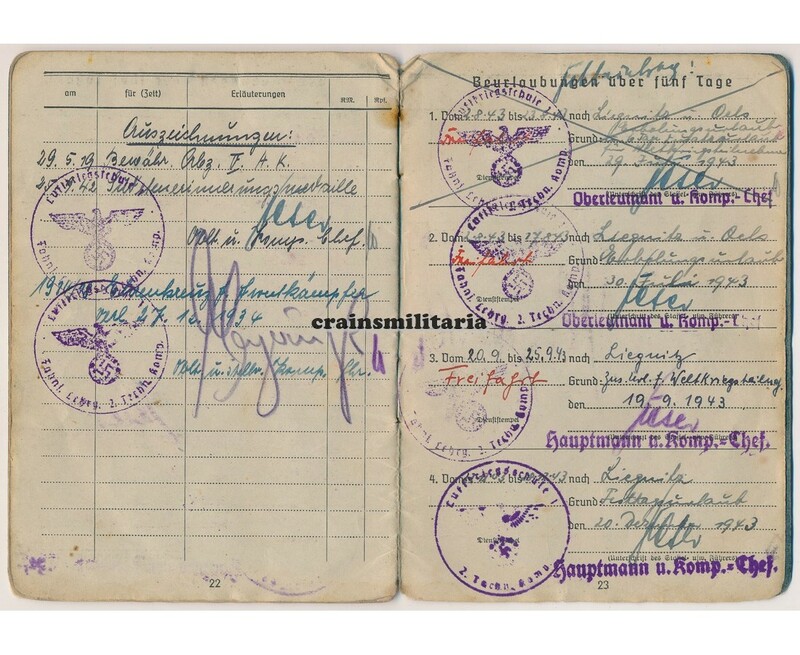 This WWI veteran's Soldbuch was started in April 1943. 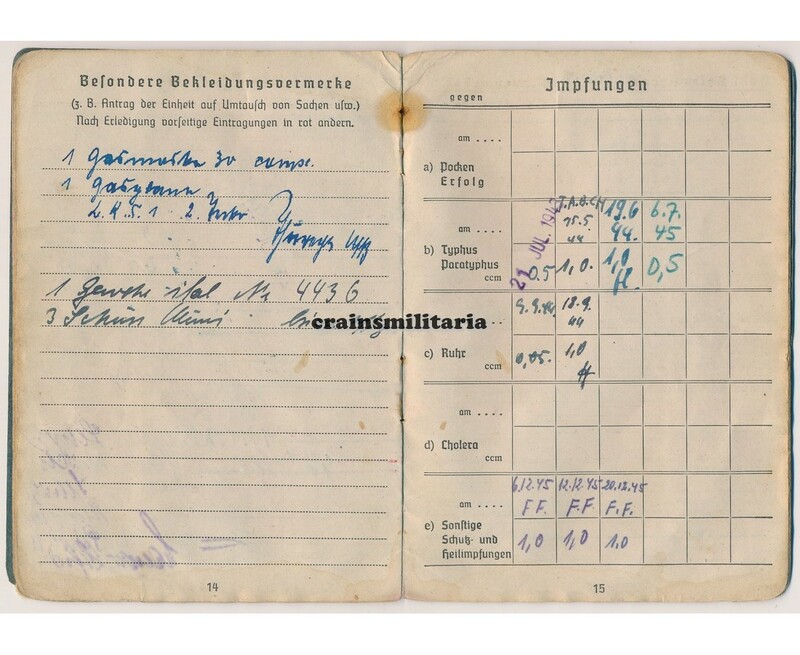 Scholz retained his old rank of Unteroffizier, while joining the staff of the Luftkriegsschule 1 (Dresden). 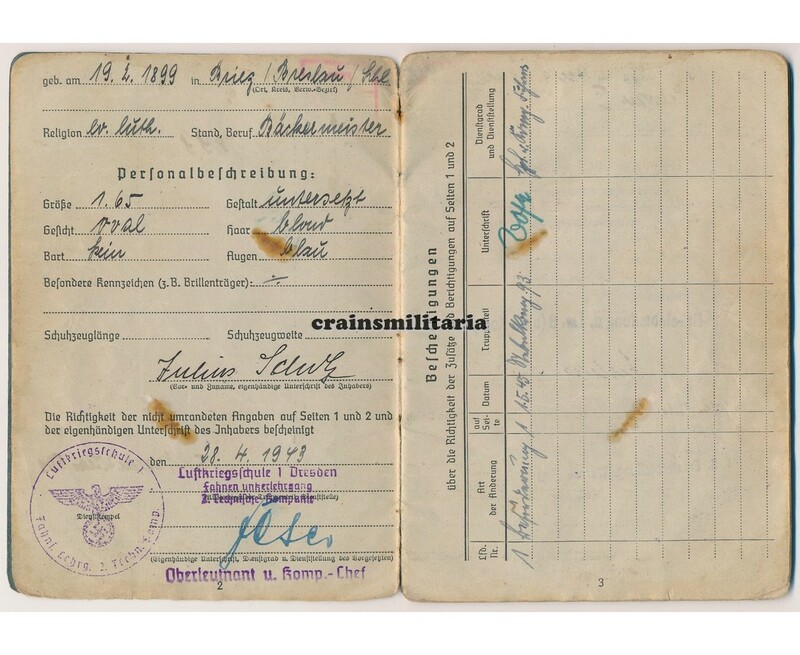 In May 1944, he was sent from a Flieger-Ersatz Bataillon in Frankfurt am Oder to Italy, arriving in the Auffanglager der Luftwaffe Mailand II in Milano. 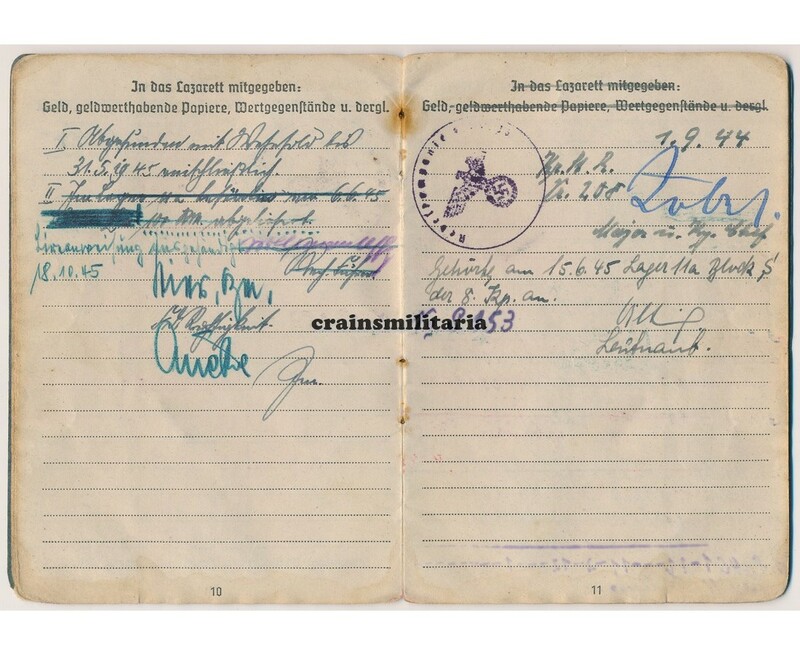 Early September 1944, he was assigned to the Nebelabteilung der Luftwaffe 8. 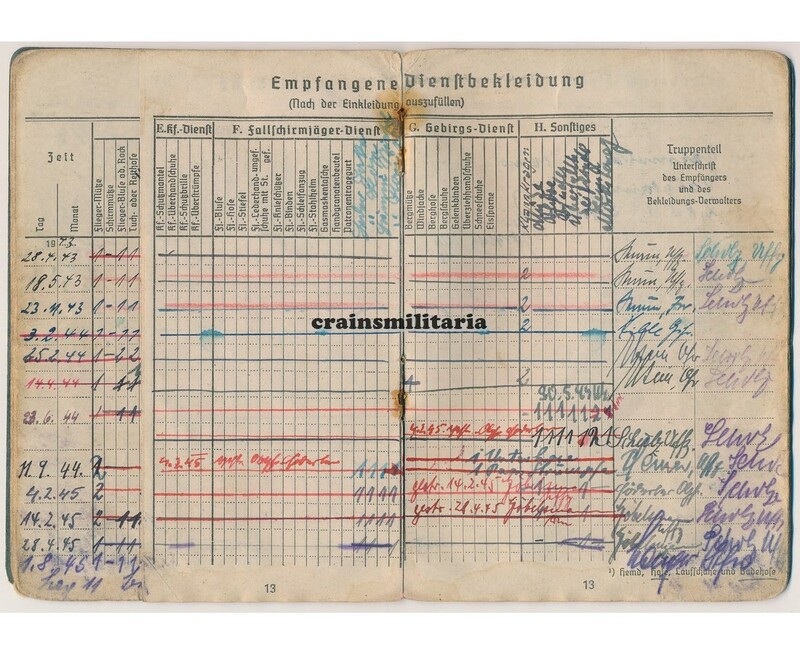 At that time, the Abteilung was assigned to the 25. Flak-Division, also active in the Milano area. In December 1944, this division moved to Brescia, for air defense of the area Brescia - Bergamo - Trento. 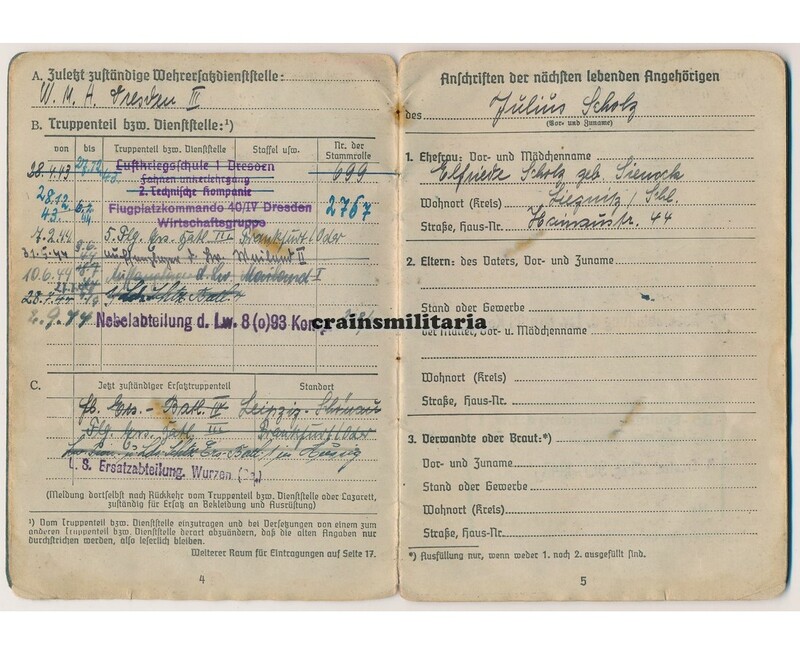 Scholz survived the war and entered Allied captivity. 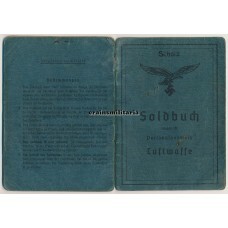 The Soldbuch is in good and complete condition, except for the portrait photo. 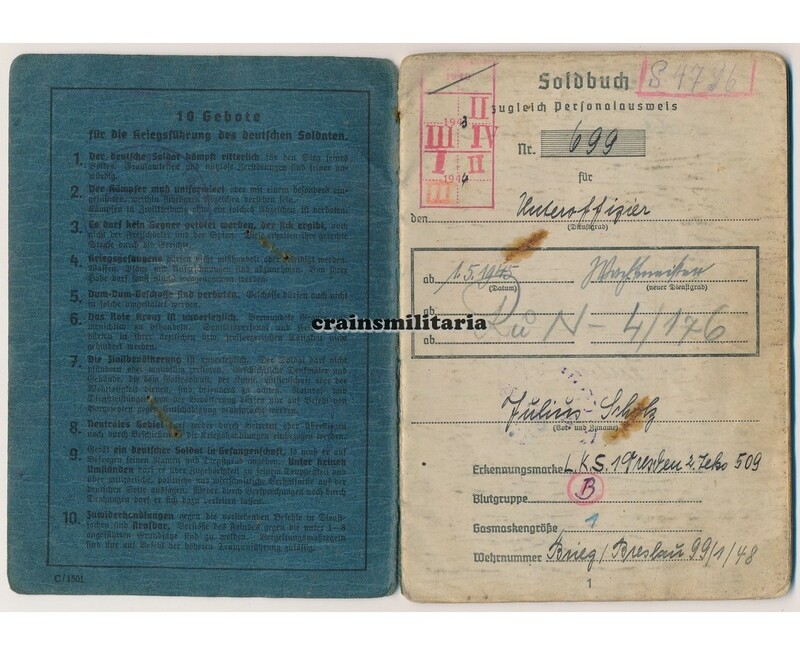 Notice he was issued an Italian rifle (page 14). 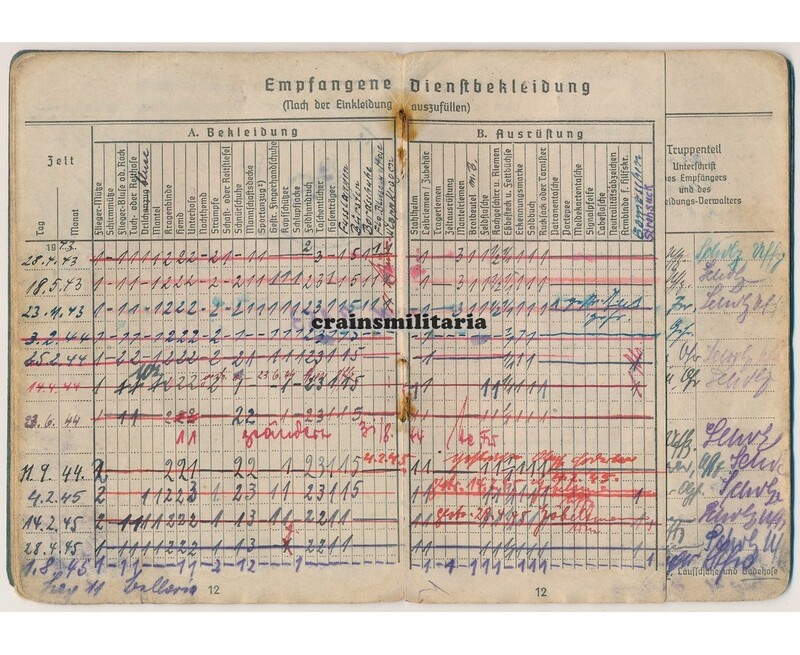 The Sudeten-Erinnerungsmedaille and two awards of the First World War have been entered on page 22: the Ehrenkreuz für Frontkämpfer, and the uncommon Bewährungs-Abzeichen of the V. Armeekorps.